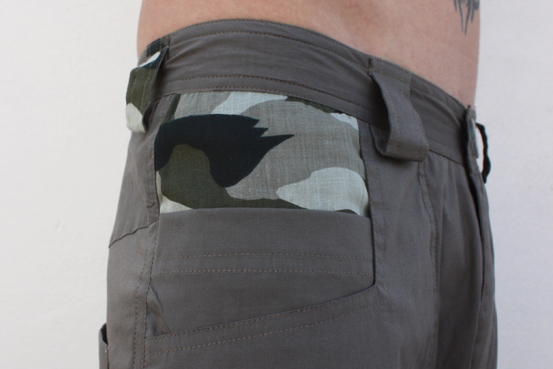 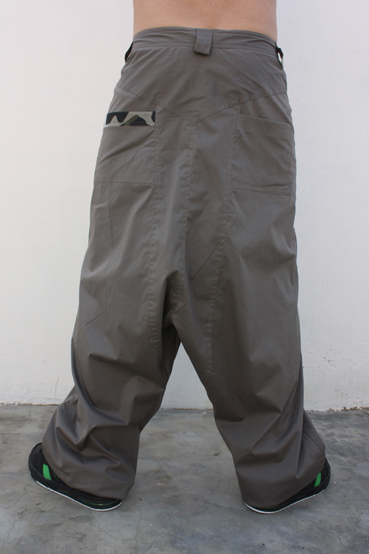 Harem pants for men, lightweight grey cotton, highlighted by printed camouflage on 2 loops and 2 of the 6 pockets. 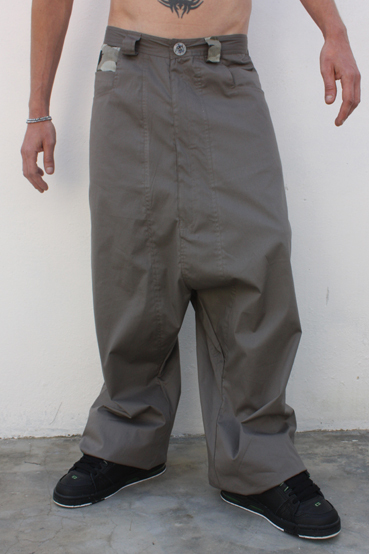 Leg length is adjustable down with concealed inside drawstrings. 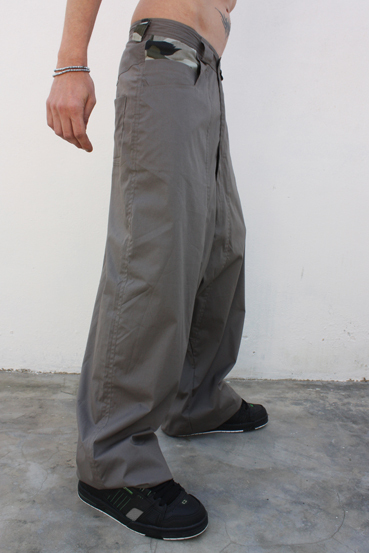 Lightweight and comfortable, this men’s harem pants are ideal for summer or mid season.